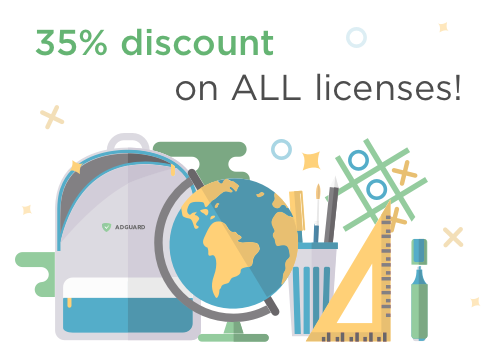 This is not the first year we make a special "Back to school" offer when we give discounts and special gifts to our users. Of course, this autumn is no exception. We invite you to celebrate this marvelous time and take part in the promotion! The first gift is the 35% discount for all AdGuard's products. That is, you can get any license for yourself or your dears, renew or upgrade any license, make it lifetime or add more devices to the key you have. Hurry up, the offer is valid till 4th of September! Of course, we've prepared more than just discounts. 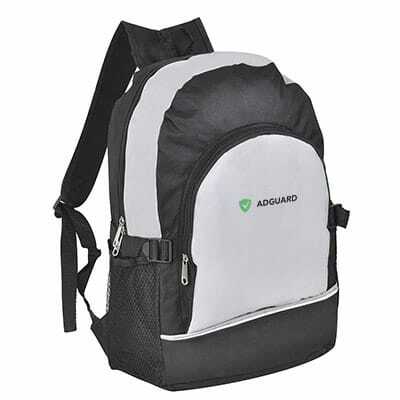 There are 20 nice prizes for users with active AdGuard licenses that we'd like to give away randomly. If you have several keys — you can fill in the form several times (new entry for each key) to increase your chances of winning :) A key for several devices (e.g: Premium 3+3) is considered as 1 key and means only 1 entry. You can join the giveaway until September 4, 2018. On September 5, we will randomly select and announce the winners in our blog. Be careful when entering AdGuard license, better double check it, because we will use it as the main criterion to select winners. I want to participate, but forgot my license key, what shall I do? No problem, you can always look for your license in your AdGuard account. You can see the instruction for license recovery here. So, do you have an active AdGuard license? Then submit your entry via the link below! From August 29 to September 4, you can profit from a 35% discount on all AdGuard products. Also, you can upgrade the license (or licenses) you already have. What's more, we are waiting for your applications to participate in the giveaway! All the results will be announced on September 5, 2018. Good luck! We will have more giveaways, so stay tuned!